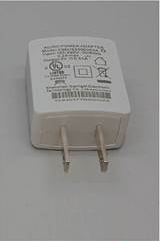 Do I need to return my USB wall adapter to the store if it is affected by the voluntary recall? No. If you purchased the owl or elephant model of our Moonlight & Melodies Nightlight Soothers (with USB wall adapter) between July 2016 and August 2017, you can return the adapter to us and receive a new one free by following the instructions on our Product Replacement Form page. You may also email [email protected] or call 888-282-4674 from Monday to Friday, 9:00 AM ET to 5:00 PM ET. 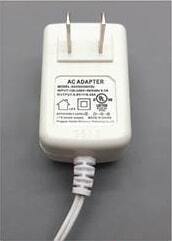 How do I know if my outlet plug adapter is affected by the voluntary recall? Which models and products are affected by the recall? 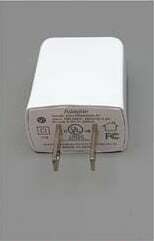 This recall impacts the USB wall adapters to a limited number of the owl and elephant models of the Moonlight & Melodies Nightlight Soothers sold between July 2016 and August 2017. Why is Skip Hop conducting the voluntary recall? Skip Hop’s operations are guided by a strong commitment to producing quality products. After recently receiving feedback from a small number of parents, we discovered the UL-certified USB wall adapter to the owl and elephant models of our Moonlight & Melodies Nightlight Soothers could pose a potential safety risk if part of the adapter fragments when unplugged from the wall.